Well, it is that time again. The Secret Recipe Club that is. This month I got That Skinny Chick Can Bake. Boy let me tell you, that skinny chick can bake! I decided to make her Corn Muffins. She got the recipe from Ina Garten. You know, The Barefoot Contessa. 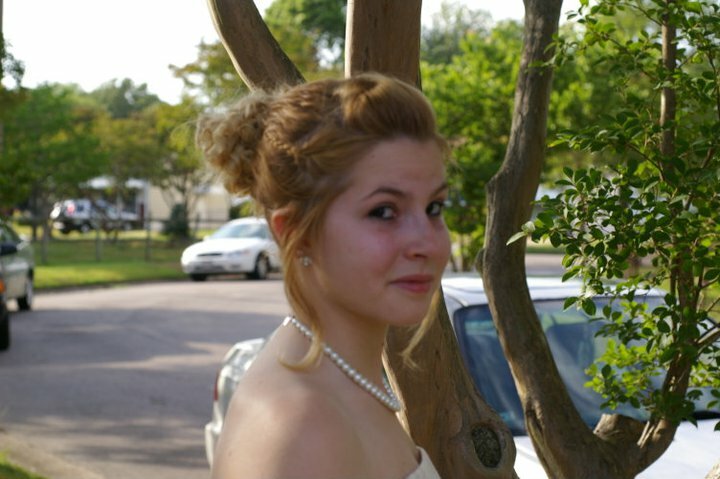 Here are a few things you may not know about Lizzy, or me either. 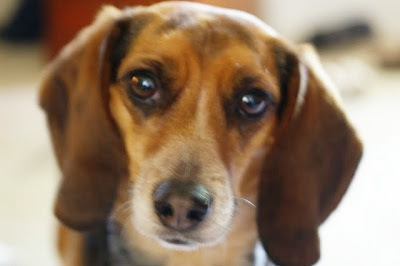 Did you know her dog Lambeau is as loved as my hound Meeka, and probably just as spoiled? Also, we both have daughters, hers is nearly 20, mine is almost 15. They both are kind hearted animal lovers. So, about the corn muffins, I made a few changes. Just in how I baked them. Here is some tricks on getting your muffins to rise up high. If you can get a professional muffin pan, do so. It really is worth the investment. I purchased mine from William Sonoma it really makes a difference. Try and make a rather thick batter just like Lizzy did. Runny batter really doesn’t work here. Fill up those muffin tins! Most recipes tell you to fill your tins half to 2/3 full. My way yields one or two less muffins, but you have to get the batter from somewhere. Remember to fill those empty muffin tins with water so your pan doesn’t scorch. Turn up the heat, I started my oven at 425. That sets the steam and gives them that quick rise they need. After 5-6 minutes in the oven, turn your heat back to 325. Remember, you don’t want them to burn. Make sure your baking powder or baking soda is fresh. There is nothing worse than making muffins and they dont rise because your leavening agents were old or expired. Last but not least, try to set your pans in the upper third of your oven. It appears to be where the heat is most constant. So, this is one of those times, I don’t mind having a muffin top! Ba dum bum! So, if you want to join in on the fun that is the Secret Recipe Club, contact Amanda. She will give you all the information you need. 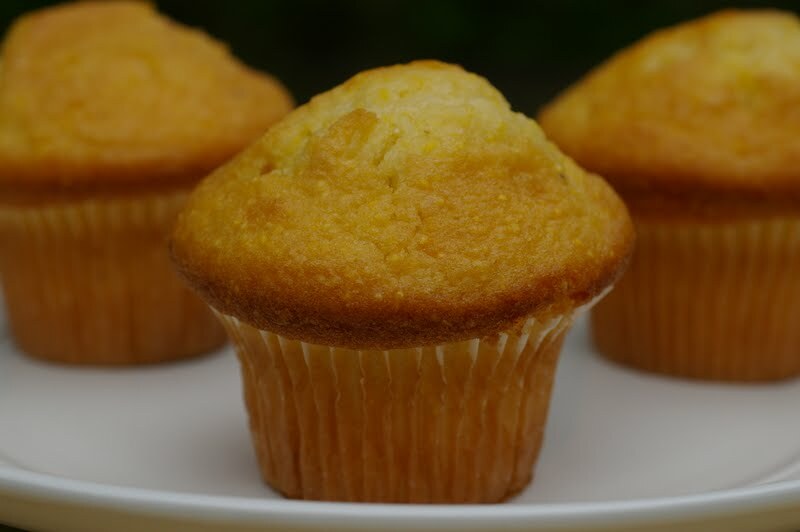 Corn muffins are my favorite side with a bowl of soup or chili. These are beauties! Veronica, I am VERY impressed with the height of your muffins and I LOVE those tips! Never knew about setting the oven higher in the beginning – not to self. Your muffins look delicious! Yes, that skinny chick can definitely bake, but apparently you ain’t so shabby at it yourself. I loved the advice on getting the sky-high muffins and will definitely put the tips to use. Oooo, I love corn muffins. 🙂 These look so yummy. Thanks for the tips on getting great muffins…I’m not much of a baker, need all the help I can get sometimes. I love Lizzy blog!!! and these recipe is absolutely nice! great choose Verónica!!! Great lookin’ muffins, and thanks for sharing the tips! Nice work! These looks delicious! Corn muffins are so tasty! Perfect for some chili!! 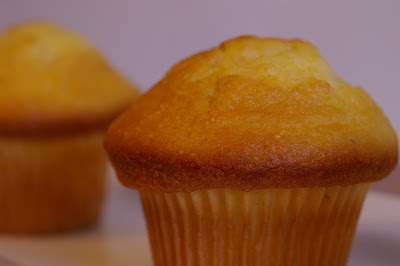 I haven’t had corn muffins in years but yours look so good I’ll have to make them again. Looks great! I love BOTH your Blogs! I love Liz’s blog. Great SRC post. Your muffins are perfect! I’ve never seen them this high before and your tips and tricks are a great help. I hope this will help my muffins to rise high also. I love corn bread and all things muffin, a great combo. GREAT job! Lizzy sure can bake…and so can you! I’m slowly turning all my baking pans over to professional. It’s funny – I have all professional cooking pans, but baking…I just bought the cheap stuff. You’re right – it really does make a difference! GREAT tips! thanks! These look yummy! And thanks for all the great tips! I LOVE corn muffins, I will have to try these! I was in Secret Recipe Club: Group B. Here are my two posts I hope you have time to check them out, if you haven’t seen them already. these muffins look like the best breakfast ever! We are definitely heading into corn muffin time of year. Tasty recipe. So your muffins look great, I guess I better head to Williams and Sanoma and order a new muffin pan! I love corn muffins and yours look great! I like your SRC idea. Neat! 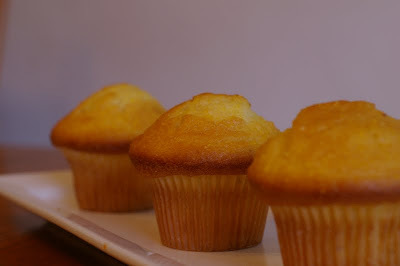 Lizzys blog is wonderful and you did a great job on the corn muffins!! Sorry for the typo – pre-coffee posting should be banned! You are so right! She really knows what she is doing. Your cupcakes look delicious too! What a great blog you got for your month’s selection. Nothing better than a really great corn muffin, still warm with a bit of honey on top. Glad to meet another SRC member. Have a great holiday weekend!! That skinny chick AND you can do some bakin’..awesome job! You really did get those babies to rise high! Don’t think I’ve ever seen muffins rise so nice. Wow, I’m impressed. It’s nice (and kinda weird!) meeting a fellow Veronica that’s also a fellow food blogger. Great to be part of the SRC with you! Such a fun post & those corn muffins look great! Love your recipe! I bet it was hard to pick a recipe from Lizzy’s site – she is one of my favorities!!! You did such a great job with awesome tips! Thank you!